In Second Life we all have our favourite performer who we go to listen to when we are logged in and want to relax listening to some good music. Criss Fredriksson is one of those performers. With a growing fan base Criss is gaining strength and momentum and becoming a household name within the SL music industry. You know he's good if he stopped Lanai in her tracks. 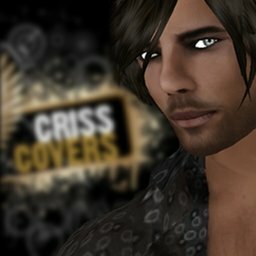 I wanted to know how it all started for Criss in SL, so sat down with him between rehearsals to find out. Tea: Hi Criss, could you tell SLE a bit about yourself? How did you start performing in Second Life? Criss: I'm from Santiago, Chile, I've been singing since I was 8. I was a member of several bands in my early 20's and then I stopped for many, many years. Back in 2006 I started singing again. After being a member of SL for 2 years I decided to try the SL musical scene in 2010. Criss: I sing 70's, 80's and some newer covers. I perform using backing tracks and also with one of my bands. 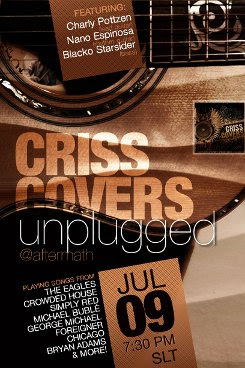 Criss: I perform every Sunday’s at Aftermath. Criss: I'm a big fan of Journey, Foreigner and other classic rock bands. Tea: How do your fans in Second Life support you? Also how has this made you strive in performing? Criss: Fans are the main reason I perform in SL. I have an awesome group of followers that has become like a family. If it wasn't for them and my manager Evee (Evee Nikolaidis) I wouldn't be here. Criss: Lately I've been only login in to perform, so I'm not doing anything else in world. Tea: What can we expect for the rest of the year from you? Criss: I'm adding more songs every day. I'm almost at 300 now and I'll keep taking my fan's requests to bring the songs they want to hear. There are so many great songs from that era that I have musical material to keep surprising them for a long time. I also plan to do more acoustic live shows with one of my bands. That's something we really enjoy doing and the fans love it. Criss is defiantly a performer you should listen to when you are in the mood for good music. To find out more about Criss Fredriksson here are some details below!